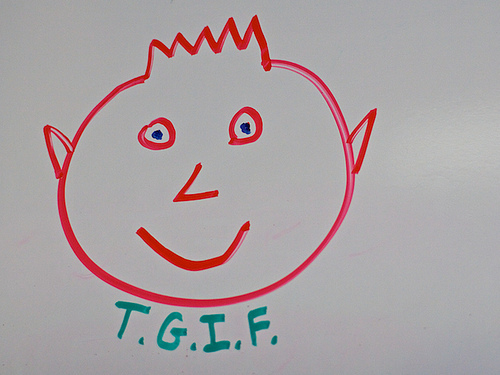 Why do so many people say "Thank goodness it's Friday"? It's almost as if the time they have spent working during the week is over with and they can get on with the part of their life that they find enjoyable. Recently I've also heard people say "I work to live, I don't live to work", which is similar in a way. Yet if you have a job you love, aren't you also thinking "Thank goodness it's Monday"? When I lived in both Amsterdam and Thailand I worked in schools where I looked forward to going in to work on Monday just as much as I looked forward to the weekend on Fridays. These schools were vibrant and exciting places where every day was different, where I was continually learning new things and where I knew I was doing a good job which was valued and where the people I worked with were innovative educators and leaders on the cutting edge of education. I feel blessed that I spent over 20 years working in such dynamic places. I'm now at Chapter 10 of Punished by Rewards by Alfie Kohn, which deals with workplace motivation. The first part of this chapter is about how compensations systems can act as barriers to quality, productivity and motivation. Daniel Pink has said the best use of money is to "pay people enough to get the issue of money off the table ... so they are not thinking about the money, they are thinking about the work." and that what really motivates people is autonomy, mastery and purpose. Alfie Kohn also writes the same thing: "Pay people generously and equitably. Do your best to make sure they don't feel exploited. Then do everything in your power to help them put money out of their minds." Kohn writes that the big problem with money is the way it is used to control people. Further on in the chapter Kohn writes about evaluation and how this too can be a demotivator. At one school I remember we changed the term "teacher evaluation" (which implied making a value judgement about someone's performance) to "teacher appraisal" which apparently was a more positive term to use because it contained the word "praise" instead of the word "value". In this school we were appraised on our goals, most of which we set ourselves. I've never worked in a place where evaluation or appraisal has been linked to pay, but I have worked in places where it has been suggested that such a compensation scheme might be introduced. However what I have noticed is that any evaluation or appraisal scheme, regardless of what it is called, seems to generate a climate of anxiety and fear among teachers being appraised, which could indicate that it is being used for the wrong purpose. Alfie Kohn addresses some of the reasons why schools and companies have such systems: some are used to determine pay, awards etc. Some may be introduced to try to make employees perform better (fear or negative evaluation, hope of positive evaluation), some may be to decide who is doing a good job so that they can be promoted to something better, some may be to provide feedback, discuss problems and help employees to do a better job. Of those, it seems only the last reason is likely to be useful. In the case of promotion, Kohn argues that employees are made to feel like failures if they are not upwardly mobile - or perhaps if they choose not to be. Kohn argues that appraisals of someone's performance in their current job are no real indicator of how they will perform in a different position and he also writes that performance is best judged by the evaluation of one's peers and not one's superiors. Evaluations and appraisals can be useful ways of helping someone to do better work, however, especially when this involves a dialogue and not a judgment. They are also useful when they are ongoing, rather than just a once or twice a year observation. However the most interesting part of the chapter that I've read so far relates to the relationship between the two people involved - and this is the very reason why I feel it necessary as a facilitator or coach to avoid being in a position where I have to judge or assess a teacher's IT skills. Kohn writes that it is foolish to have someone "serving in the self-conflicting role as a counselor (helping someone improve performance) when at the same time, he or she is presiding as a judge." Watch - look for problems that need to be solved and help people solve them. Listen - listen to people's concerns, imagine how the situation looks from their point of view. Talk - provide feedback, encourage people to reflect on what is going well, what needs to improve and how this can change. Think - about whether the current climate is based on extrinsic motivators and controlling people's behaviors. Kohn goes on to write about the 3Cs of motivation - collaboration, content and choice. I'm going to reflect on these in an upcoming blog post. What do you think? 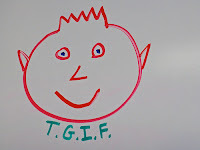 Does your school have a TGIF or a TGIM mentality? How does your school motivate teachers? I have been a teacher since 1974 and I am a life long learner - not staying with the "way we used to do it" mentality and yet I still literally go into panic mode at Teacher Appraisals. In my entire teaching career I have only had one bad appraisal and that was over 30 years ago from a principal that was eventually forced out of the system but not before he damaged something inside of me that I still struggle to resolve. I don't write about my present teaching situation much but it has gone from a place that was a joy to work in to a place where we literally live for 4:00 pm and Fridays. I am living for the end of the year - not to say goodbye to my students - but to leave this untenable situation that has been brought about by the instalment of all of the negatives you mention in your article led by an autocratic new administration. Thanks for reminding me there is another side and hopefully in my new teaching situation next year I will be part of a team that values me as a person in a positive way. Keep writing. Thanks for your encouragement Heather. Like you I have also experienced all the negatives of an autocratic administration who appear to see knowledge, experience and intelligence as threats. I try to focus on my 20 years of good experience in wonderful and inspiring international schools and look forward to moving to yet another excellent school soon. I believe in forgiveness and I know that I will not allow a negative experience to turn me into a bad teacher or a bad person. My school (or at least the people I work with) doesn't have that TGIF mentality, other than looking forward to the social beers after work we often have. We don't fear the Mondays, but I think we're blessed people in a great profession: we're given the opportunity to create and to experiment and to try new things with the chance of failure and to be allowed to learn from it. It can be exciting, thrilling and fulfilling. Sadly, I know so many jobs out there where people just can't afford to make mistakes or their bosses will be on top of them. They have duties to perform and aren't allowed to stray away from it. There are factory jobs were people do things in repetition and long to break free and try new things. They don't have the opportunities educators can sometimes have. I think as humans we long to be able to create and do our own thing. I guess that's why I can understand why some people really look forward to their Fridays, and why some really hate their Mondays. Hi Mike, you are truly lucky to work in such a great school. A year ago I was hoping to come to your school as I am a PYP workshop leader - I was going to do an assessment workshop, but unfortunately my admin refused to let me go despite the fact that schools are supposed to have an agreement with the IBO to release staff for 5 days to do such trainings. As you write, teaching is a wonderful profession and we work with many dedicated educators, however I would say it makes a huge difference what school you are working at. I've spent 20+ years in wonderful schools just as you describe - administrators were forward-looking and encouraged risk-taking and trying out new things and learning from this. However I've now spent almost 3 years in a place that can only be described as soul-destroying and where teachers not only long for Fridays, but also for the end of their contracts so that they can move to someplace better, or even just stop work altogether. You are right when you say that humans long to be creative and autonomous - micromanagement is a killer to motivation.